For many Americans Hanukkah is just the Jewish version of Christmas, only theirs stretches over an eight-day span. Just like any other topic, it is unjustified to make assumptions over ones belief without knowing all the facts to it. Hanukkah is full of traditions and rituals that extend far past the lighting of the candles. However, this is the most well-known of them all. 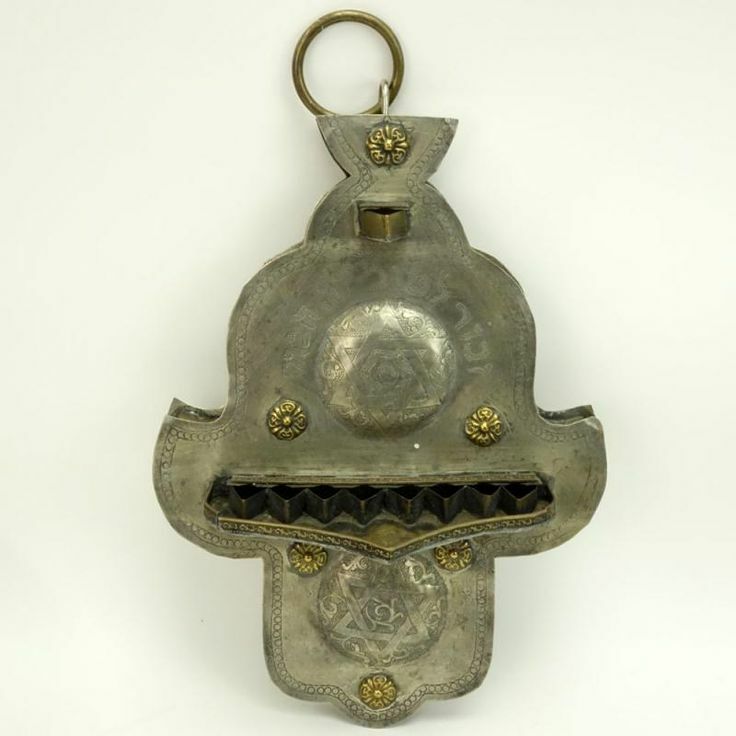 The menorah, the Hebrew work for candelabrum, is a ceremonial lamp with nine branches; eight of the branches hold a candle to represent the eight days of Hanukkah, and a ninth to hold the shamash, or helper candle. Every night, a candle gets lit and a blessing that goes like this is recited, “Blessed are you, Adonai our G-d, Ruler of the Universe, Who sanctified us with Your commandments and commanded us to kindle the lights of Hanukkah” (Robinson 116). This is then followed by thanking G-d with another prayer. After the candles are lit, it is traditional to sing the song “Ma ’Oz Tzur,” which simply means Rock of Ages. 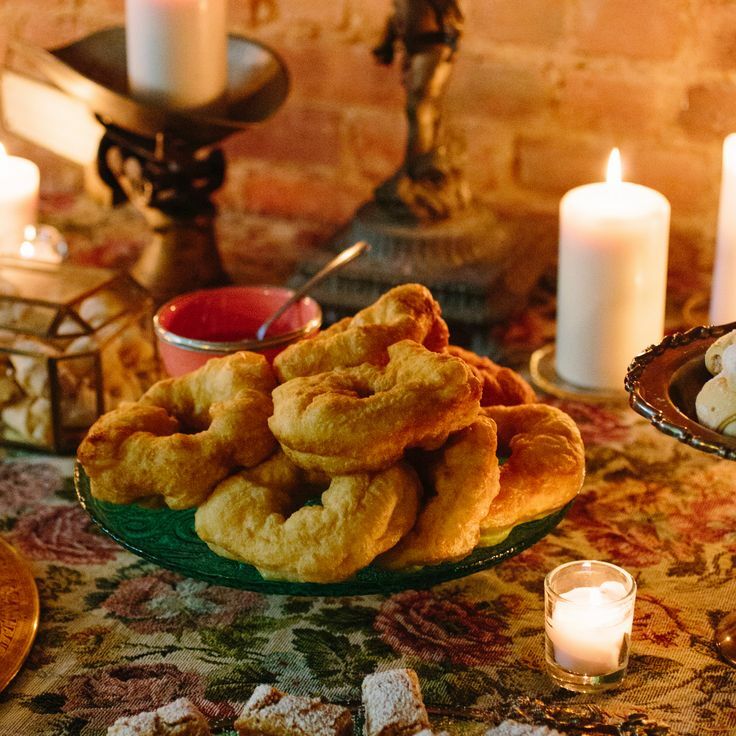 After working up an appetite, guests are greeted by delicious latkes, sufganiyots, and other oil cooked foods. Aside from the sumptuousness of fried foods, Jews serve these foods to represent the eight days the jar of oil burned in the Temple. For those who don’t know what a latkes or sufganiyot is, they are potato pancakes and jelly donuts, respectively. Throughout the world, Hanukkah is celebrated relatively similarly. Each country though displays a hint of its own culture in the holiday. In America, the exchange of money or gifts was in adaptation to the giving of gifts in Christmas, because Christmas has essentially become a national holiday to Americans. This forced Jews to follow in their footsteps by giving gifts around Christmastime. Moroccans definitely mix things up a bit, as they have never even heard of jelly filled doughnuts, but instead have sfenj doughnuts. They also hang their menorah by using hooks, which is actually pretty cool, because it allows for everyone to look up at the lights, as if looking up into a starry night sky. There are some many other twist to the holiday like the eating of fried plantains instead of potato latkes in Colombia or the holiday inside of a holiday to remember Hannah who sacrificed her seven sons to be able to practice her Jewish faith (this mini holiday-in-a- holiday occurs on the seventh day of Hanukkah and is celebrated in most North African countries). My personal favorite is the Double Decker Menorahs in France, which allows for fathers and sons to further connect by being able to light their own menorahs within one. Wondering why I haven’t mentioned the exchanging of gifts in the rituals of Hanukkah as a non-American tradition? That is because Hanukkah isn’t Christmas, despite their relatively close proximity on the calendar; they are not the same. Hanukkah celebrates the eight days the oil lasted in the rededication of the Temple after its destruction, while Christmas celebrates the birth of Jesus. Besides the two being holidays in their own religions and offering families with a time to reconnect and be together, the two don’t have much in common. Feldbergy, Michael. “How Christmas Transformed Hanukkah in America.” MyJewishLearning. Accessed on May 4, 2017. http://www.myjewishlearning.com/article/hanukkah-american-style/. Magder, Ruth Abusch. “Beyond latkes: Hanukkah Around the World.” MyJewishLearning. Accessed on May 5, 2017. www.myjewishlearning.com/jewish-and/beyond-latkes-hanukkah-around-the-world/. Robinson, George. Essential Judaism: A Complete Guide to Beliefs, Customs, and Rituals. New York: Atria, 2016. Syme, Daniel B. “Hanukkah: Customs and Rituals.” Reform Judaism. Accessed on May 5, 2017. http://www.reformjudaism.org/hanukkah-customs-and-rituals. 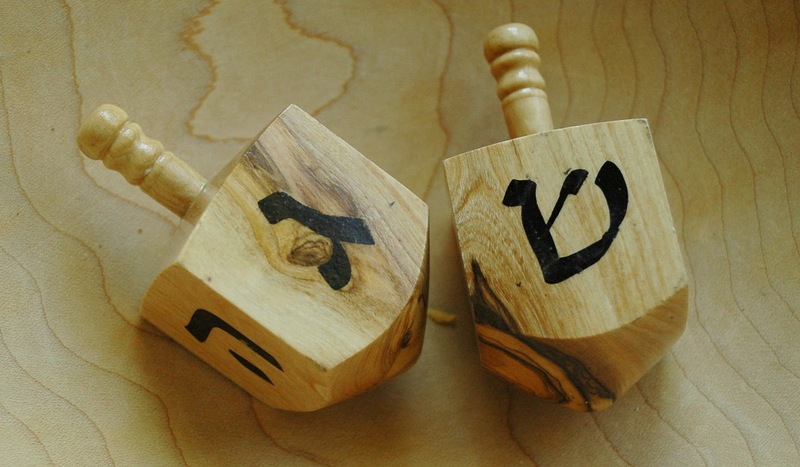 Hanukkah Jewish food jewish holidays student series!